This selection is for a gift card purchase for a Giraffe Safari Tour. The gift card will be valid for 365 days following the purchase. 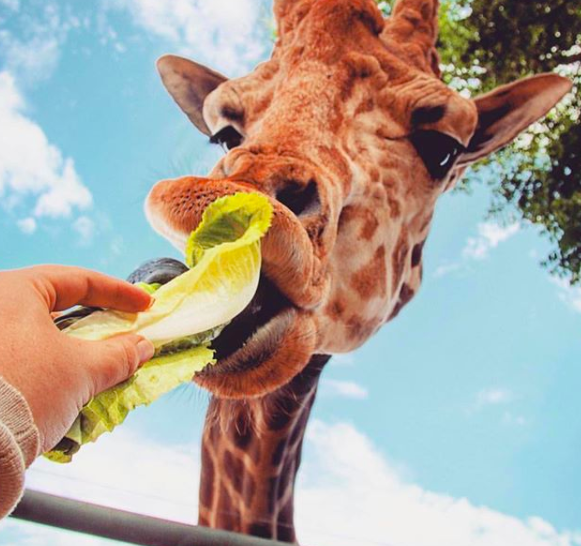 The Giraffe Safari is a fun-packed afternoon that shows off the best of Saddlerock Ranch’s quirky spirit. Embrace your adventurous side—this tour is not to be missed! Classic wine tasting meets a wild view on the Giraffe Safari, where you’ll enjoy the best of area wines and Saddlerock Ranch’s amazing scenery and wildlife. Two wine tasting stops with 3 wines each: 3 whites and 3 reds. Stop and feed the animals, including the retired Hollywood star, Stanley the Giraffe! Light snacks will be provided. *Available everyday, except limited to the weekdays April through October.